Get a full-size folding mountain bike for under $1,000. Here's how. Being in retail, it was inevitable that we’d eventually have a Black Friday Special some year. We just didn’t want wade in until we had an offer worthy offer enough of this uniquely deep-discount holiday. This year, we finally found one. While supplies last (in sizes and colors), we’re taking the normally $1,280 CHANGE 609 folding mountain bike and knocking $400 off it, when you use the code BFS609 at purchase. 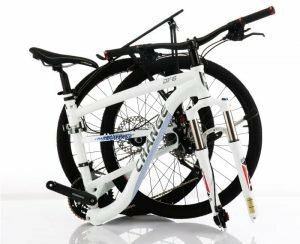 For the first time in Flatbike’s history, that means that you can get a brand-new, folding full-size bike for under $1,000. Way under. 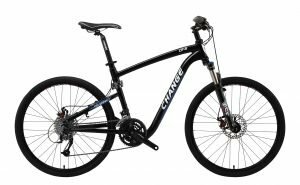 Specs for the CHANGE 609 folding mountain bike. And then, it does this, so you can fit it easily in your car, truck cab, RV or apartment. This offer is limited to supply on-hand, so get yours while you can. Do you know the 6 essentials for winter riding? Used car vs. new bike? The scale just tipped more.